Click the button below to add the 7" Hydroponic Planter - tall - Buy 2 Package - Save $7.00 to your wish list. 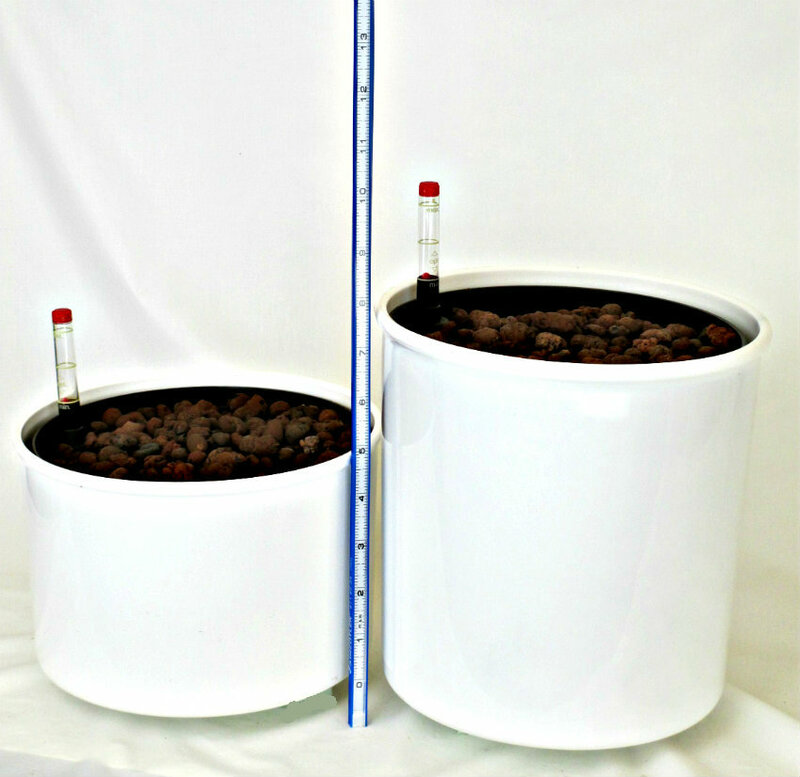 7" tall Hydro-Planters are about 2 1/2" taller than regular 7" planters (see image below). We recommend choosing a hydro pot that's slighty smaller than the existing grow pot. Smaller grow pots encourage a quicker wet/dry cycle which is vital for healthy root growth. For orchids, tall planters are great for plants that need more stability such as tall dendrobium or tall oncidium. They're also excellent for cymbidium orchids. For houseplants, 7" tall planters work for floor plants 1-3' tall. When using our "tall" planter series, plant slightly deeper than normal for better stability. And remember, larger planters hold more water so be sure to allow enough time between waterings for the system to dry out. Comparing 7" (regular) planter with 7" tall planter. Height of a regular planter is 5 1/8". Height of "tall" planter is 7 3/4".